Bad teams will do bad things. Ref: Rangers and ARod/Miami/Stanton. Don’t doubt the ineptitude of the rich. Nobody offering 14 years and id find it hard to imagine hed want 14 years being 26 unless he had options for half those years, have to think hed want another crack at FA . I think he will want and get a 14 yr deal, probably with opt outs after years 3, 4, and 6. Depending on how the payments are set, even the signing team will be hoping he opts out. Miami made the Stanton deal to make the team worth more money. They had to build it up to sell it, so they could watch the new owners tear it down. Now, if one of those teams, like Tampa, Miami or some other team not drawing fans end up telling Harper they are trying to move to Vegas, that changes everything. Some eyebrows raised this evening when it was observed that the White Sox had unveiled a stage set at Chicago’s United Center featuring Bryce Harper‘s name. 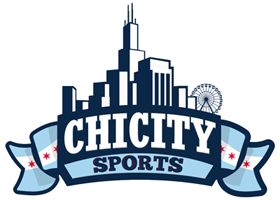 As Chris Cwik of Yahoo Sports explains, there’s no reason to think this was the beginning of the roll-out of a signing; our readers from the south side can safely inform friends and neighbors that there’s nothing imminent. More likely, it’s part of a recruiting pitch for the popular young free agent, who is in Chicago today. The news shouldn’t be blown out of proportion, clearly, but that doesn’t mean it’s of no consequence. Evidently, the White Sox are serious enough pursuers that they have secured an in-person visit and are putting resources into a pitch. That certainly dovetails with recent reports and public statements from the organization indicating that the club is looking to spend. It also bodes well for Harper’s market that a team such as the White Sox is making a run at him even after he reportedly turned down a $300MM offer to remain in D.C. Calling it now. Harper goes to sox for 400M+. not really up on the sox, but they have 1b, 2b, SS, Eloy will be up, I think they have a few garcias for the rest of the bench/outfield, a highlight center fielder, and pitching even without Kopech and only Abreu is costing some coin. Rumor has them in on Nelson Cruz. I would target Donaldson also. That.gives me 3 solid RH power bats with Abreau. I would need 2 LH bats to balance. Moenceda is like Baez. Just takes time to play at a higher level. The talent is there. Harper makes sense though. I would target him alone though and build around him. Basically have a 3/4/5 of Aberau/Harper/Jimenez. Then Optimize from in house. new reports out today that the cubs are reported in on Harper. Nothing like dropping the cubs name to get the bidding to start. Pretty sure Philly is the main mover this off. Owner announced that they are getting semi stupid soon. I would go Dallas Keuchel, Craig Kimbrel and Yasmani Grandal. But they have one of the league’s worst D’s so Manny makes sense for them also. Looking at them more SS is a gaping weakness. So they are going to be 100% on Manny. They need a closer also. That means Kimbrel should be targeted too. They have power on the corners so Harper is not a high demand. SP are young and they were good at getting strike outs. Jake was the worst of the staff in that regard. They need a lefty to split it up some but that could end up a trade honestly. I don't need Harper. that sort of cash is better spent somewhere else.